In a time when such horses as Mountain Dew and Jay Trump were running and jumping over Maryland’s biggest timber fences, a small bay horse and a businessman joined forces to challenge the racing tycoons and create their own steeplechasing history. Kingdon Gould, Jr., and Hurdy Gurdy became names that will forever be intertwined. Their story has inspired many truly amateur riders, fellow businessmen on their foxhunters, to take up the sport of chasing timber, and for that, Kingdon and Hurdy Gurdy will live on as long as there are hounds to follow, and timber to jump. Kingdon and Hurdy Gurdy on their way to winning at Piedmont in 1961. 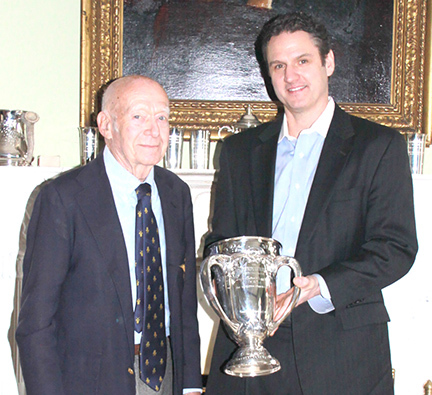 Born in New York City in 1924, Kingdon attended the Millbrook School and Yale University. While at Yale in 1942, he volunteered for the armed services and served in World War II. He received a battlefield commission as a second lieutenant with the 36th Mechanized Calvary, and served in the Ardennes and Rhine campaigns. Kingdon retired from the Army with two Silver Stars with oak leaf cluster, as well as a Purple Heart with cluster. In 1946 he married Mary Bunce Thorne and returned to Yale to complete a Bachelor’s Degree in English literature and a law degree. In 1955, the couple moved to Overlook in Laurel, and shortly after joined the Howard County Hunt Club. 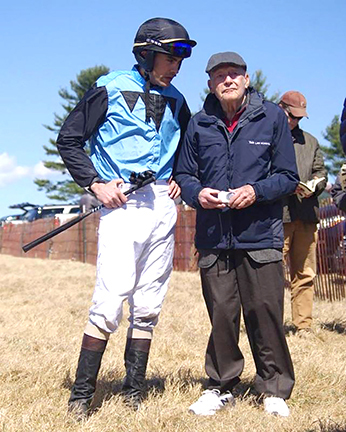 Kingdon had ridden as a child and told author Margaret Worrall, “I always rode, but I never really knew what I was doing” for the 2011 Equiery article “A Gentleman Jock & His Gallant Foxhunter,” which can be found on the Archives of equiery.com. Kingdon practiced law in Washington, D.C., and Maryland. He began purchasing real estate in the 1950s, often parking lots, in D.C. and Baltimore. He was also a major contributor to the Republican Party, and in 1962 was named chair of the Maryland Republican Finance Committee. He served as ambassador to Luxembourg from 1969 to 1972, and to the Netherlands from 1973 to 1976. 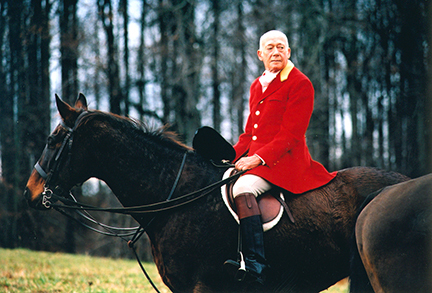 Gould loved all aspects of foxhunting, and after attending his first Maryland Hunt Cup as a spectator, he declared that racing over timber was something he wanted to do. “As is his nature, he came up with a strategy, and the first order of business was to find a foxhunter who has the potential to run over timber fences,” wrote Worrall. Kingdon found Hurdy Gurdy in Virginia but did not get started hunting or racing the small horse until a coronet band injury from a trailer accident fully healed. By 1960, the pair had been hunting with Howard County and entered their first race, Casanova, and finished fifth. 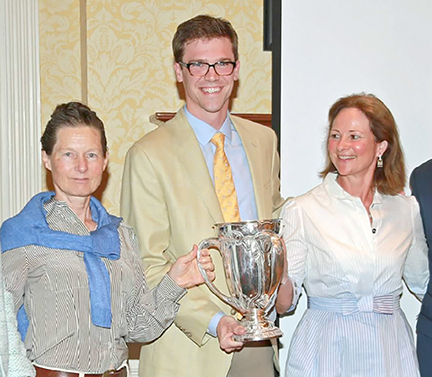 He won the Howard County Cup the following year and also finished second in the Virginia Gold Cup. The pair finished the 1961 season as the leading point-to-point horse of the year. In 1962 Kingdon and Hurdy Gurdy won the My Lady’s Manor on their way to their first Maryland Hunt Cup appearance. That first trip around the Hunt Cup, Hurdy Gurdy finished third, with Mountain Dew taking the win. The next year, the pair finished third again, this time with Jay Trump winning and Mountain Dew in second. Kingdon and Hurdy Gurdy made it around the Hunt Cup again in 1964. He retired the horse from racing after a stop in the 1965 Hunt Cup, but continued foxhunting Hurdy Gurdy. 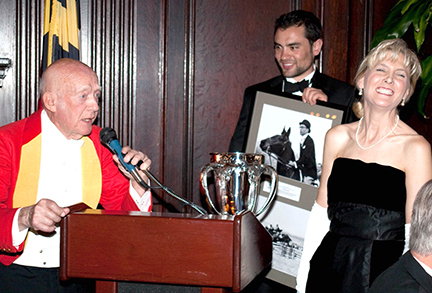 Kingdon would remain a part of the Maryland steeplechase community until his death this past January. 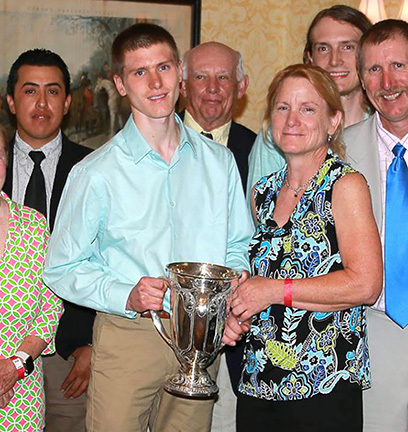 In celebration of the 50th anniversary of Kingdon Gould, Jr., and Hurdy Gurdy’s first Howard County Cup victory, the Howard County-Iron Bridge Hounds created a Maryland Steeplechase Association Governor’s Cup Series perpetual trophy in their honor, and awarded the first trophy to Darren O’Brien in 2012. 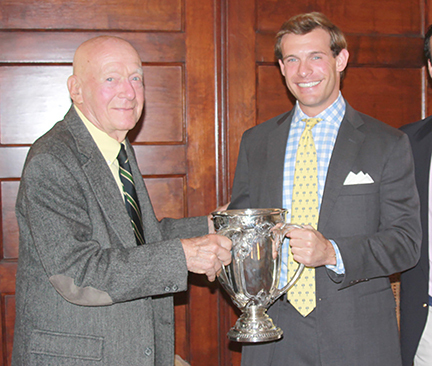 Here are some thoughts on Kingdon Gould, Jr., by the winners. 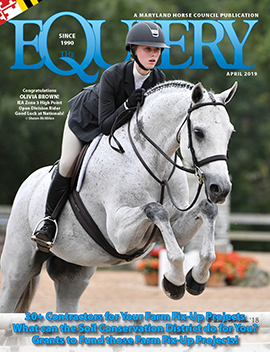 Full stories can be found on the Archives page of equiery.com.